Budget luxury ski trip is not an oxymoron. In Utah, where world-class runs are minutes from our doors (and we’ve made it ridiculously easy for visitors), locals know how to make a luxury ski trip affordable for the whole family. In fact, you can save enough money to sneak back for another quick trip (no, don’t tell the kids)! * Here are five ways to save a bundle on your ski trip prep and not give up a thing. Shopping for jackets, boots, gloves and more is the fun part until you go to the checkout at your hometown ski shop and realize how much this week of clothing that you won’t likely use the rest of the year will cost (yes, I know this firsthand). Function first! Utah locals can always pick out the tourists—they’re wearing expensive, insulated jackets trimmed with faux fur (very pretty, not very functional). EVERY article written in the past 20 years about playing outdoors tells you that it’s all about layering: base layer (long underwear), insulating layer (puffy), wind/waterproof layer (Gore-Tex). Translation: That cute faux fur feels wet and nasty next to your face if it snows, and the wind blows through that expensive insulated jacket that will sit in the back of your closet in Houston or San Diego. Instead, wear a base layer, but not necessarily ski specific. I’ve been known to use my workout tops and leggings which wick sweat just as well and are usable off the slopes (yes I just gave you permission to buy Lululemon). Heck, my kids prefer to wear long underwear-style pajamas under their ski gear (the littles seldom break a sweat skiing, which is what chills them). 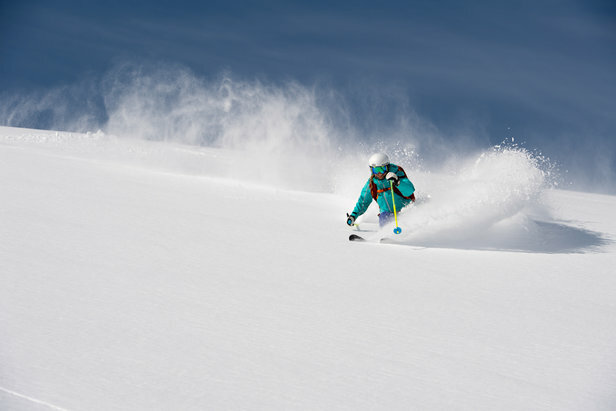 Plan ahead to save big on ski gear rentals. The insulating layers are more important, and there are options in this department. Most people own or received a fleece jacket from their aunt at some point. Fleece is fleece, it’s warm and it’s hidden underneath everything if your aunt has bad taste. A puffy, down-type layer is also a popular choice as far as insulators go, which can be worn in combo with the fleece for the chilliest ski days or if you tend to run cold. Recently, these have magically become thinner and warmer, simultaneously making them more functional (you can wear it back in Dallas during a February morning jog and brag about your amazing vacation). The wind/waterproof layer is, typically, the pricey piece, but you’ll be able to use it afterward in the rain or cold when the dog insists on going out or you’re stuck at the soccer field. Layered with a base and puffy, the shell keeps you toasty on the worst day (or while plopped on the snow during your snowboard lesson). A shell is more than a simple raincoat, and there are choices for just about any budget, but be sure to find a style that specifically indicates it’s wind and waterproof. Bottom Line: Stay warm, save money, use at home. No faux fur, matchy-matchy optional. Pants come in insulated and pricier, more technical shell-type varieties. Either is fine, but definitely look for deals. Jeans and stretchy pants—even if they say they’re ski pants—are neither fine nor warm! Bottom Line: Function first! 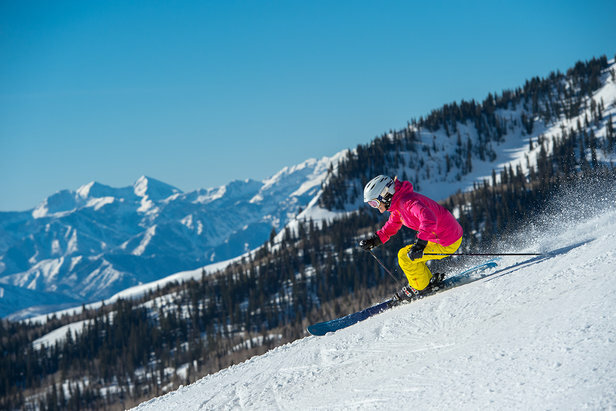 Locals’ Clothing Tip: Visit consignment shops and warehouse retailers in Utah for deals on ski clothes. From Salt Lake City International Airport, you can stop at Costco (doesn’t sell wine, but has men’s ski pants for $29), Kid2Kid, a large consignment on 700 South just off I-80, or shop the Millcreek Mile on 3300 South off I-215 at the mouth of Parley’s Canyon, full of locals’ favorite haunts: 2nd Tracks consignment (even my hubby likes this place), REI, co-op retailer, Savers, locals’ second-hand items, Milosport or Salty Peaks, retailers with great deals. If you’re in Park City, the Columbia Factory Store has what you need for a fraction of your hometown ski store. Buy or rent? For most, renting is the cheaper option, but you can save even more if you know where and how to rent skis, snowboards and boots. 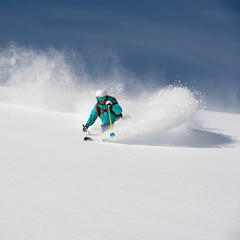 Utah locals love the Ski Season Rental programs at many ski stores. For a fixed price (approximately $79 youths, $129 adults, reserve early), you can rent skis/snowboard, boots and a helmet for the entire season. This is often less than the cost of a three-day rental. You can also save by reserving daily rentals in advance (20% discount sound good?). Bottom Line: Plan ahead, even just 48 hours, to save big. Locals’ Gear Tip: If you’re dying to buy boots, skis or anything else, locals love consignment stores (we buy great stuff and resell often), such as The Gear Room in Cottonwood Heights, 2nd Tracks Salt Lake and Ogden, Switchback Sports in Park City. If you decide you don’t want to take it home, then consign it all back before you leave and save more money (Cha-Ching!). Consider a multi-day/season ski resort pass or getting lift tickets ahead of time to save on skiing. Buying daily lift tickets at the resort window is pricey, but visiting the resort website beforehand can be the best deal around. Otherwise a stop at a local ski shop—or even grocery stores—in the Salt Lake Valley can score you discount lift tix (and coffee) on the way up the mountain. If you are skiing with a large family, then remember that kids 10 and under ski free at Brighton. 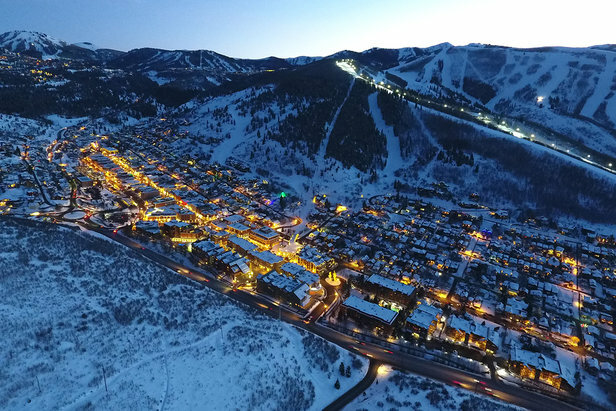 When it comes to multi-day passes, there is a lot of competition: IKON Pass, Epic Pass, Mountain Collective, SkiUtah’s Yeti Pass and SkiCity SuperPass. Compare and pick the best based on prices and perks, such as discounts on gear, lessons and lodging, as well as blackout dates and deadlines. Bottom Line: Try to purchase tickets before getting to the resort. Locals’ Lift Ticket Tip: SkiUtah’s 5th/6th Grade Passport is still the best deal anywhere and available to non-Utah residents. For $45, 5th graders get THREE days of skiing or snowboarding at EACH RESORT. Sixth graders get ONE day at EACH. Some blackout dates apply, such as Christmas at Deer Valley, but Park City next door isn’t blacked out. Apply online at least two weeks before your trip. The Passport also includes other discounts on gear and lessons. Yes, it’s that easy to save. Education is expensive, but great instruction means a great experience. 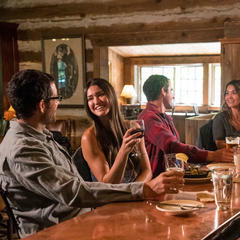 Utah is known for its large families—and Olympians—which means resorts cater to teaching skiing and snowboarding exceptionally and affordably. Eagle Point Resort has an early-bird special for those who like to book a private lesson with their morning coffee. 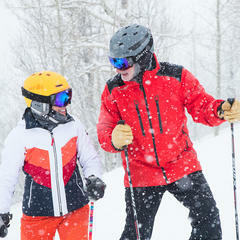 Brian Head Resort guarantees its beginner group lessons. 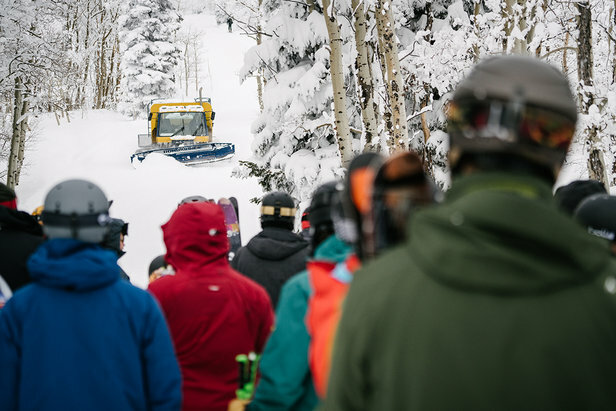 For $299 (3 group lessons, 3 lift tix, 3 rentals), its Brian Head University promises to teach first-timers how to ski or snowboard in three days or it’s free. Specialty camps (teens, girls-only, women’s, snowboarders) or multi-day clinics are great and often a great deal. For families with Special Needs, Wasatch Adaptive Sports, National Ability Center and Ogden Valley Adaptive Sports have partnered with Utah resorts to make skiing, snowboarding and just about every outdoor pursuit accessible and affordable. Bottom Line: Group lessons are less expensive than private lessons, but similarly-matched groups will progress more quickly. 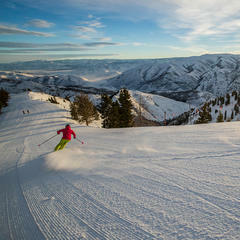 Locals' Lesson Tip: New this season is Snowbird’s Adult Beginner Special. Designed for beginner or returning skiers and snowboarders, $115 will get you a 2.5-hour lesson, rentals and a beginner chairlift ticket! The deal is good through mid-April. Powder Mountain also has a first-timer package. 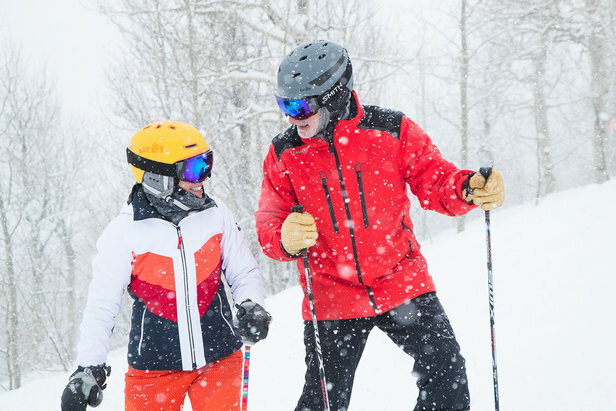 If it’s January, then the Learn to Ski & Snowboard Month program is a great deal and available at participating Utah resorts. Want to know how easy it is to get around Utah in winter? The fact that schools never close for snow days and SLC Airport has one of the best on-time records should be clues: The Beehive State is prepared. Hundreds of snowplows clear the highways and interstates as soon as even the biggest storms pass through, making it efficient to get to and from anywhere in Utah (there’s even an app that allows you to track them, like watching Pac-Man, as well as view real-time road conditions). Utah has also made it affordable to get from SLC Airport to the ski resorts. Private shuttles and taxis are plentiful but expensive, especially for groups. Consider Uber Ski with ski racks or Lyft, which might be more affordable. If you’re staying in Salt Lake City or Ogden, consider taking the popular Ski Bus from local park & ride stops. Similarly, the convenient, electric Park City Bus is free and has multiple routes between Kimball Junction and Deer Valley. Bottom Line: You really don’t need a car or the stress of clearing snow from the windshield. Enjoy your morning coffee instead. Locals' Transportation Tip: If you want to rent a car (or a bigger and better one), reserve it in Salt Lake City. Many major companies have non-airport locations only minutes from the airport. Just take an Uber from the airport for a cheaper rental. Be sure to check closing times/days for pick-up/drop-off. Hundreds of snowplows clear the highways and interstates as soon as even the biggest storms pass through, making it efficient to get to and from anywhere in Utah. *How do you sneak back with the savings? You’ve already purchased the clothing you can use again/at home, a ski season gear rental and a multi-day ski pass. You’ve had great lessons leaving you with just transportation and lodging. OK, these are significant, but you’re so close and saved so much, are you really going to stop now? I didn’t think so. See you soon!